Increasing the available disk space or memory can improve overall app performance. Similarly, running additional instances of an app can allow an app to handle increases in user load and concurrent requests. These adjustments are called scaling. Scaling your app horizontally adds or removes app instances. Adding more instances allows your application to handle increased traffic and demand. 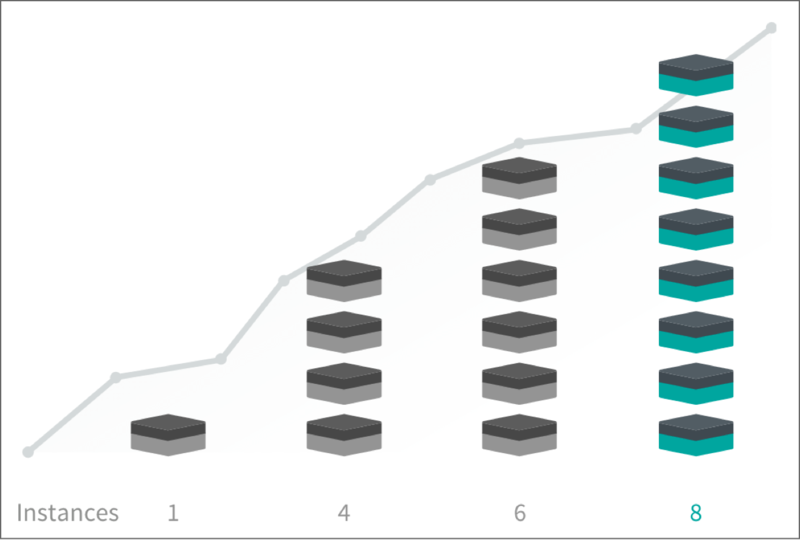 Horizontal scaling increases the number of app instances to handle increased demand. Scaling your app vertically changes the disk space limit or memory limit for each app instance.